If you’re interested in politics or music, chances are you might have heard of Rolling Stone, the publication founded in 1967. Given that we’re now in 2016, Rolling Stone also has a web page and its creators are now working on a dedicated site on video game culture called Glixel. 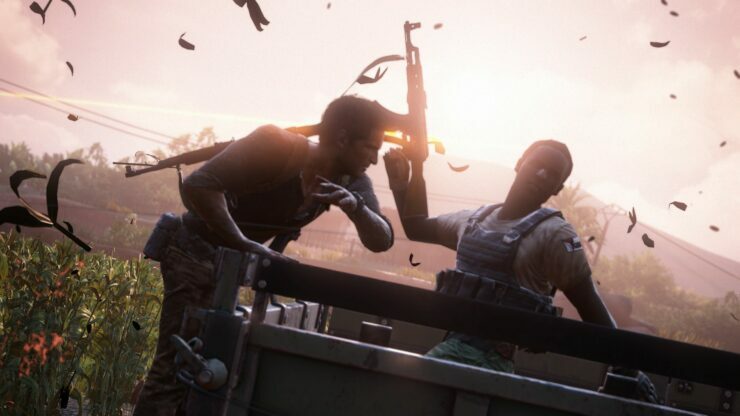 The site is not yet live, but you can already subscribe to its newsletter and the first issue contains nothing less than a full fledged interview with Naughty Dog’s Neil Druckmann, mainly known as the Creative Director (alongside Bruce Straley) who worked on The Last of Us and most recently Uncharted 4: A Thief’s End. There are several noteworthy tidbits, but we’ve highlighted two in particular. First of all, Druckmann finally addressed one of the long standing complaints against Uncharted and its main character, Nathan Drake: the apparently effortless way with which he kills plenty of enemies during the games while still being an all-around stand up, jovial kind of guy. Some critics have talked about ludonarrative dissonance to this regard and interestingly enough, Naughty Dog added a trophy named that way for killing 1K people. Does that mean they acknowledge the issue? Not quite. The interviewer also asked Druckmann how much Uncharted 4: A Thief’s End differs from the original pitch, and apparently the answer is that it does mostly for the added interactive flashbacks, since initially it was just a cutscene. […]it felt like, as the story was evolving, that we needed to spend more time with the kids. We’re not going to have them run around and shoot and take cover and all that. So what are some interesting things we can do with them? Uncharted 4: A Thief’s End is available now, exclusively for PlayStation 4. You can read why it’s absolutely worth a purchase in our full review.